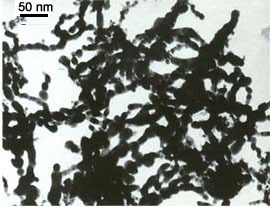 Here at SkySpring Nanomaterials, Inc., we produce Cobalt Nanopowder, and Nanopowder Nanoparticles that exhibit distinctive properties, which makes them ideal for use in a wide range of commercial and biological applications.Cobalt Nanoparticles yield excellent electromagnetic wave absorption properties enabling the compound to be used in a myriad of industrial and manufacturing processes, it is also favored as a ferrofluid, and is ideal for high-density magnetic storage. We carefully control the manufacturing process of Cobalt Nanopowder to tailor the use to our customer's specific needs, which spans a host of different industries. Cobalt Nanopowders form the heart of numerous industrial applications that rely on the distinctive properties of the compound, so for a trusted partner in your industrial supply line, SkySpring Nanomaterials is standing by to take your order.